Brenda joined Commonwealth Financial Services in March of 2014 bringing 25 years of financial analysis experience in the information technology and banking industries. 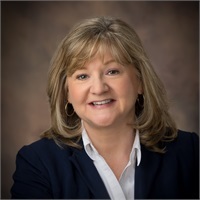 Brenda has a Bachelor of Science in Business Administration degree from West Liberty University where she specialized in both Finance and Management. Brenda also holds a graduate certification in Forensic Accounting and Fraud Examination from West Virginia University. She has earned the Financial Paraplanner Qualified Professional™ designation and has also acquired her Series 7 through Securities America. She also holds her Series 66 with Arbor Point Advisors, LLC. Brenda assists in the financial planning aspect of our business, helping our financial advisors in developing financial plans for our clients. She also responsible for the firm’s accounting activities and preparation of financial statements as well as maintaining compliant business practices. Brenda is the proud mother of two daughters, Ashley and Rachel. She enjoys music, the arts, participates in community theater and enjoys dance classes.